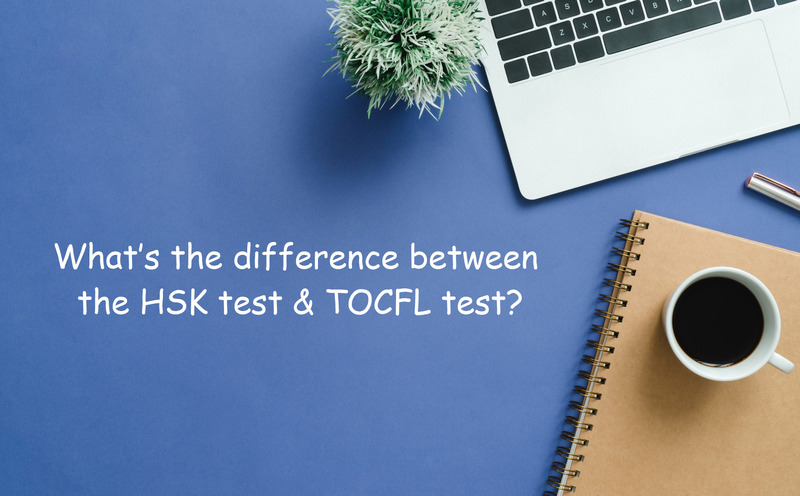 What is the difference between the HSK test & TOCFL test? The HSK and TOCFL exams are the two official Chinese language exams that may be required when applying for a job, university, or even scholarships, in China or Taiwan. It can also help you in your working visa application (in China) and can attract employers all around the world since these certifications can give you more credibility regarding your Mandarin language skills. HSK (Hanyu Shuiping Kaoshi, translated as the Chinese Proficiency Test) is the most popular standard Chinese language exam for foreigners and overseas Chinese. It is well-known all over the world and uses simplified characters. 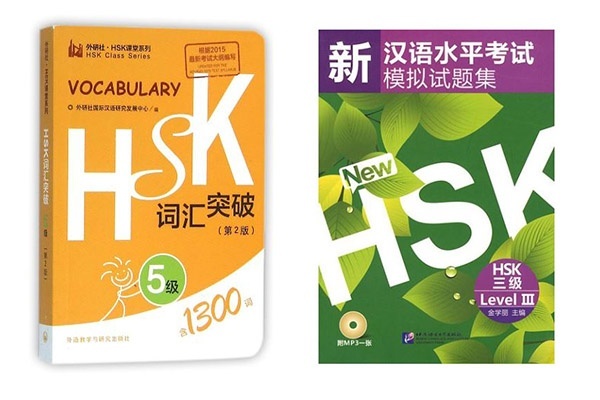 The HSK includes two independent tests: one focuses on writing, reading and listening, while the other, called HSKK, only focuses on speaking. There are six levels of writing tests, starting from HSK Level 1 to HSK Level 6, and three levels of speaking tests for HSKK (beginner, intermediate and advanced). Test takers' speeches are recorded during the speaking test. Regarding the HSK test, you are rated on 200 points for level 1 and 2, and on 300 points for level 3 to 6. A certificate is awarded if you reach an average of 120/200 or 180/300. The HSK exam is quite short compared to other language exams. It lasts between 35 minutes (level 1) and 2h15 minutes (level 6). Many exercises are approximately the same from one level to another (similar instructions). However, progressing to HSK level 6, the sentences become longer, the grammar becomes more complex and the vocabulary is expanded. 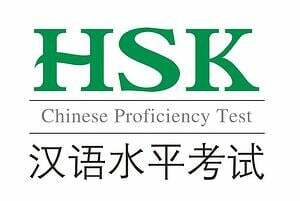 HSK is known to be easier than other official language tests, such as the TOEFL exam for English learners or the DELE exam for Spanish ones. Most of the Chinese universities ask students coming to China to pass the test when studying a degree (usually asking for HSK level 4 or 5). Some Chinese companies may also require an HSK certificate when hiring a foreign talent (mostly requiring level 5 or 6). Most importantly, the HSK certification is taken into account when applying for a Chinese working visa, and it also helps foreign students to get a scholarship from the Chinese government. TOCFL (Test of Chinese as a Foreign Language) is Taiwan’s Mandarin test. You have the chance to either choose simplified or traditional characters when registering for the exam. There are three different types of TOCFL exams: TOCFL Listening & Reading, TOCFL Speaking, and TOCFL Writing. Levels are separated in 3 main “bands”, Band A (beginner), Band B (Intermediate) and Band C (Advanced). Every band is divided into two sublevels, so you can find 6 different levels like in the HSK test. As with the HSK in China, the TOCFL can be required in some Taiwanese universities and companies, but it is not mandatory when applying for a visa. This “Made in Taiwan” test is the equivalent of HSK in Taiwan, but it is known to be more complicated than the one made in China. Indeed, while the HSK Level 6 requires the knowledge of 5000 words, the advanced level of the TOCFL exam requires the knowledge of 8000! The TOCFL exam helps foreign students in Taiwan to become eligible for the “Taiwan Scholarship”, as well as the “Ministry of Education Huayu Enrichment Scholarship”. It can be also required when applying for academic programs in Taiwanese colleges and universities. How to be well-prepared for the HSK and TOCFL exams? First, try to take a mock test online in order to see what level fits you the most. Once you have decided which level you want to conquer, it is time for you to train hard. HSK → You can try different mock tests here for every level of HSK. Also, there are some amazing books that can be found for all the different levels. For example, this one, attached with a CD-ROM, covers 10 mock tests with a CD-ROM so that you can practice all three parts of the test: listening, reading and writing. This edition exists for all 6 levels and allows you to practice on real HSK templates. In regards to writing, try to ask a Chinese friend or a Chinese teacher to correct your work. Regarding the vocabulary, you should learn contextual sentences and not just the words. This amazing pocketbook exists for all 6 levels and provides different examples for each word, which allows you to learn the words and most importantly, get to know how to use them correctly. 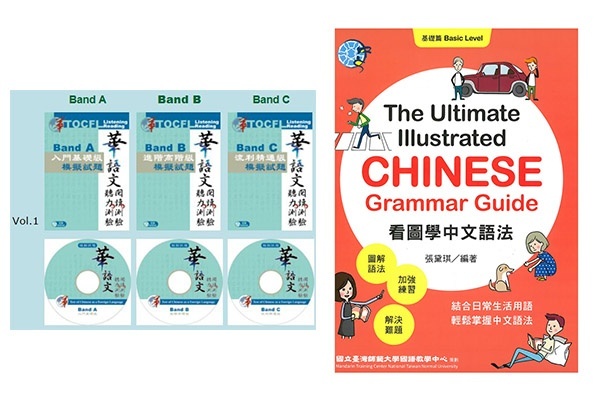 TOCFL → Books for preparing TOCFL are more complicated to purchase outside of Taiwan, but if you are already there, here is all the information to purchase Mock Tests Set books and other learning materials. The TOCFL website also provides a lot of free mock tests and online course materials that can be a huge help for you when preparing the exam even if you are not in Taiwan. Even if the HSK and TOCFL tests are not created by the same groups, the main approach remains the same. They both test your listening, reading, writing and/or speaking skills. As a famous Chinese idiom says: “熟能生巧” (shúnéngshēngqiǎo), which means “practice makes perfect”. So if you are planning on taking either of these two tests, don’t hesitate to practice each aspect of the language. For writing, practice constantly as well and find a native-speaker to help you correct your work and give you advice on how to improve your writing performance. Do a lot of mock exams, whether online or with specific books that prepare you for the test. 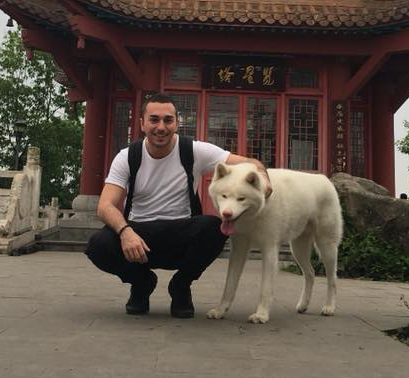 If you want to have a real Chinese class experience with professionals, you can also take online Chinese classes on TutorMing. TutorMing’s teachers, referred as consultants, are all certified with years of teaching experience, and undergo extensive training, so they can guide you through a complete learning process that will help you to achieve your goal by getting a high result on the HSK or TOCFL test. READ MORE：SHOULD YOU STUDY MANDARIN CHINESE IN CHINA OR TAIWAN?